There seems to be a theme going on this week. Anything new coming out of my kitchen has been desserts! We’ve had plenty of reasons to make all sorts of treats, and it’s been so much fun trying so many new goodies. My parents and twin sister came to town and stayed with us this last weekend. It was a blast and a half and we just loved having them here. We always have a great time when our family members come to stay with us. My dad celebrated his birthday last Thursday so on Friday night we decided to go out for birthday dinner at Bajio then come back to our place for dessert. I wanted to try something new so I went with these Twix Brownies. They are heaven in a bowl, let me tell you. The caramel makes them so gooey, and if you let them cool long enough the Twix bar chunks get crunchy again. But I doubt you’ll be able to wait that long! 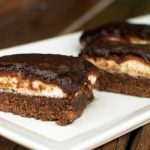 These things are amazing and a great way to jazz up a brownie! Don’t worry. 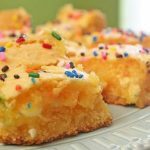 If you cry tears of joy while making these brownies, you’re totally normal! 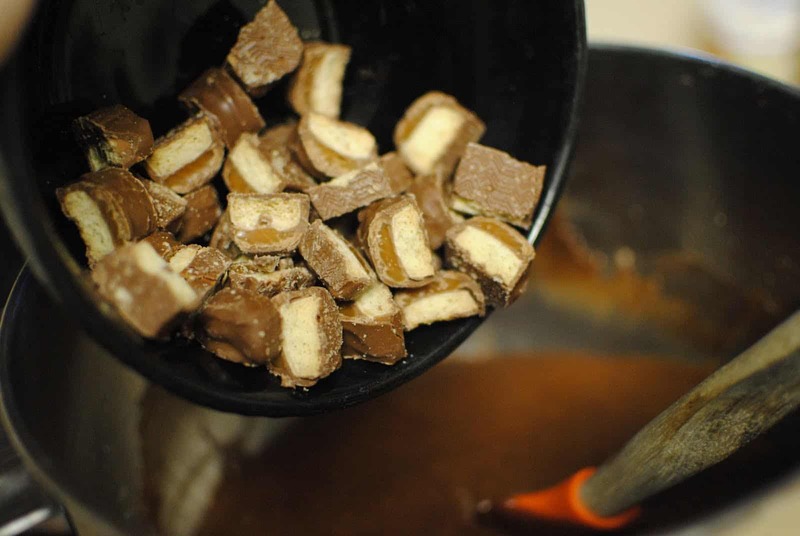 Cut the Twix bars into small chunks and set aside. Cream the butter and the sugar together with a mixer; add the eggs, cocoa and vanilla. Slowly add the flour so it doesn’t go everywhere. 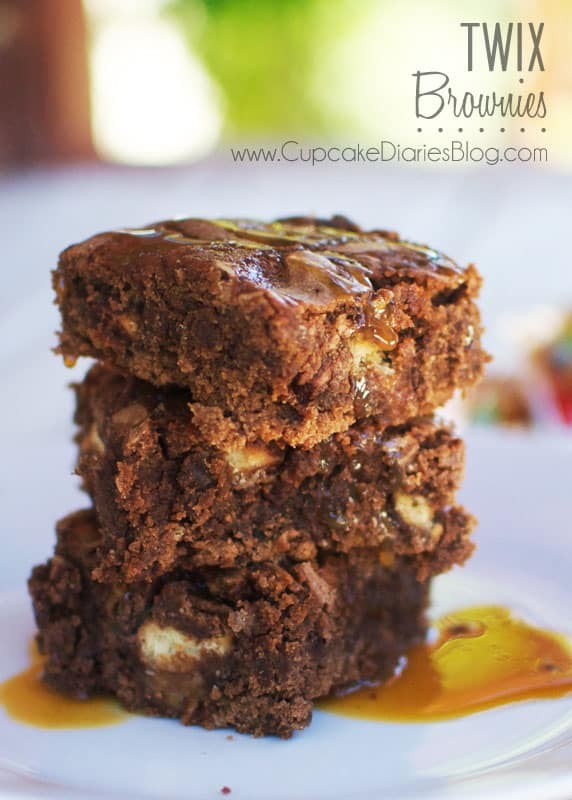 Add the Twix chunks to the brownie batter and stir in with a spoon or spatula. Pour the batter in a greased 9x13 pan. Drizzle the caramel topping evenly over the batter. 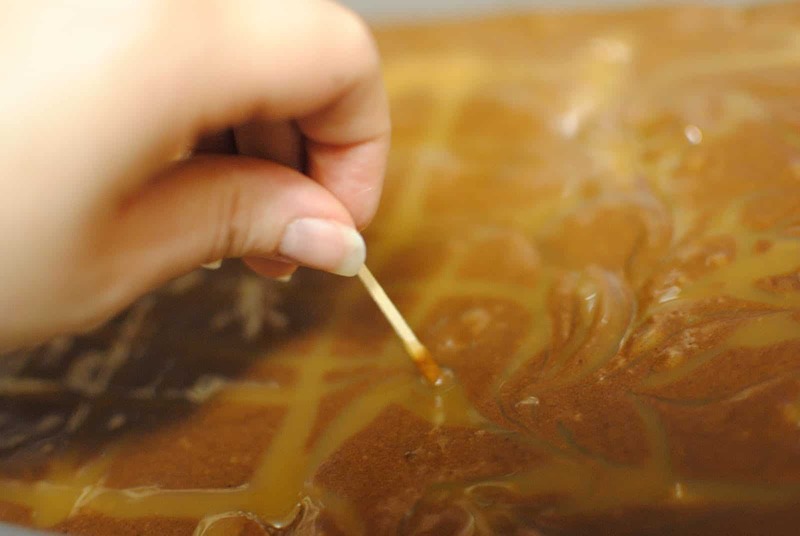 After the caramel drizzle, take a toothpick and swirl the caramel around. Bake for 35 minutes at 350°. 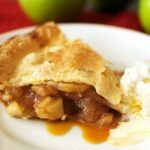 Drizzle with more caramel to servel. You’re killing me! My favorite candy with my favorite dessert!!! Can’t wait to try these! Stop it Alli! Twix are my favorite candy bars and brownies are my favorite treats! The perfect combo. Can’t wait to try this! Oh, those look so good! 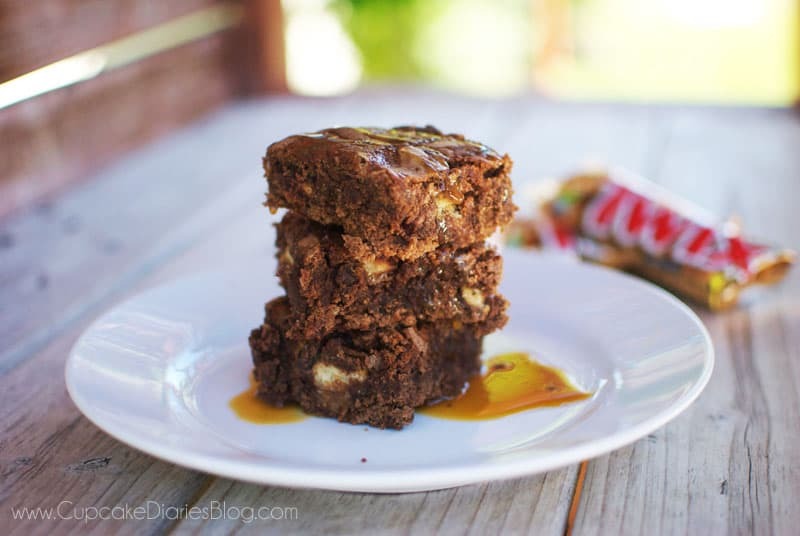 Twix is my favorite candy bar, now I’ll have to try this recipe! oh my goodness, i love twix and i love brownies. I can’t wait to try these out. yum!! These look melt in my mouth yummy!